All credit to creator of this tool, I am just posting a trick for beta users. Tool and guide here . 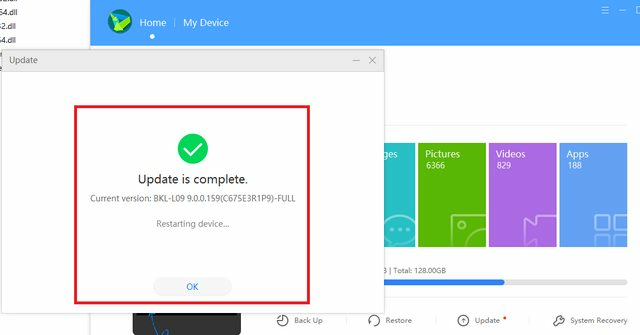 In this guide, I will just share some tricks to update your phone if you are beta user from BKL-L09C675B108 (beta build) to a stable one out there B159. Few users got the updates but due to some issue, OTAs were stopped and we were struggling with beta build. I tried all the available method possible but as I am non rooted or can not unlock my bootloader so could not do anything like no-check recovery installation or other ways. 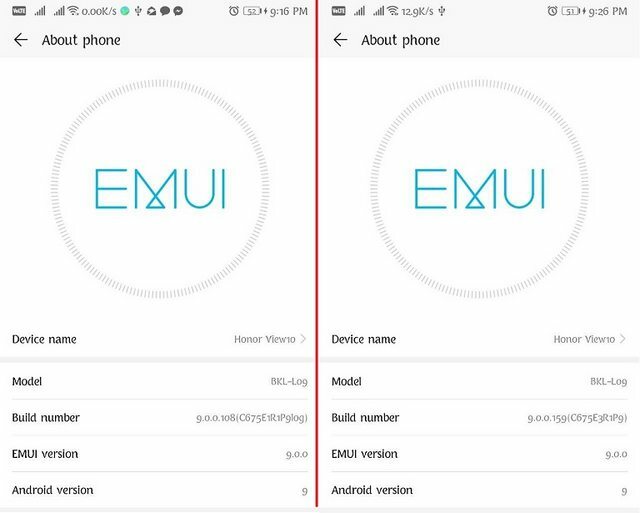 Please follow the original thread if you are EMUI 8.0 user as it will work very easily and you can update. Please continue with this trick only if you are beta user. P.S. I am not responsible for anything but this should doesn't harm anything and should update fine. 5- Kill the app again from task manager and double launcher.exe again. 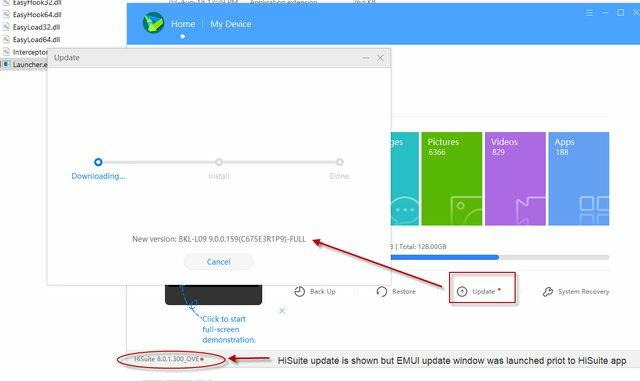 7- Once the EMUI update window is launched you can click on update and restore to earlier version (it will restore to the same stable EMUI 9.0 version BKL-L09C675B159) so just click on update . 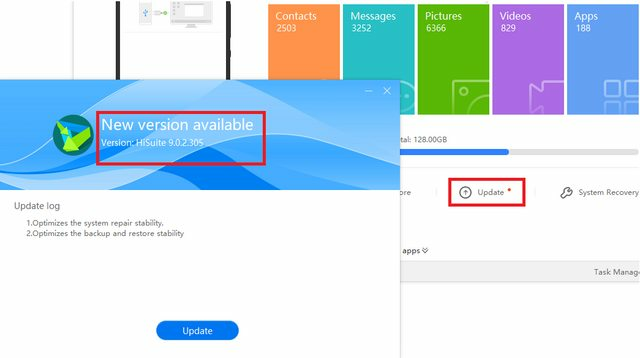 8- Wait for HiSuite to finish installing the update on your phone. 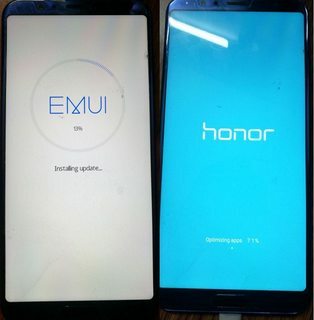 9- Once Finish, phone will reboot and it will finish the installation and update. 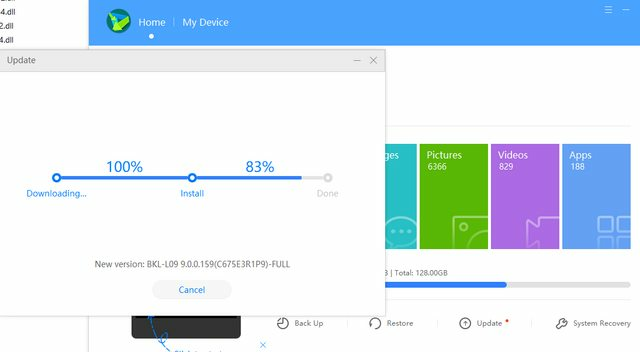 10- During the update, it will optimize the application and once boothed, you will be on B159 stable version. Before and After update screenshot.